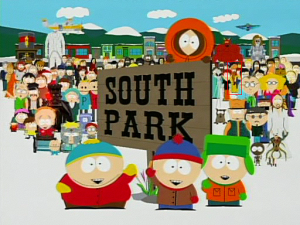 WASHINGTON — A 20-year-old Virginia man, who made threats against the TV show “South Park”, was arrested Wednesday on charges of providing material support to al Shabaab, a terrorist organization in Somalia with links to al Qaeda, authorities said. Zachary Adam Chesser, 20, of Fairfax County, Va., who according to a report in the Washington Post, was a high school football player and rowed crew, told federal agents that he twice tried to travel to Somalia to join the al Shabaab as a foreign fighter, the U.S. Attorney’s Office in Alexandria said. On July 10, he tried boarding a flight from New York to Uganda, but he was on the no-fly list, authorities said, adding that he brought his infant son with him as a “cover” to avoid detection. Authorities said a court affidavit shows he submitted to a series of interviews with federal law enforcement and told of how he maintained multiple online profiles dedicated to extremist jihad propaganda. Posted: 7/22/10 at 8:54 AM under News Story.